Many types of snakes have a checkered pattern on their belly. The overlapping scales along a snake's belly are called scutes. The coloration and pattern on the scutes are often used by scientists to differentiate and identify separate species that appear similar from above. Rat snakes come in a wide range of colors, and several species have a distinct checkered pattern along their belly. Corn snakes, prairie rat snakes and black rat snakes all have checkered bellies. The scutes of the these snakes are often easy to see since rat snakes are excellent climbers and often make their way into trees in search of bird eggs. Rat snakes will also coil up into an s-shaped defensive posture when threatened that exposes their belly and makes it easy to see the checkered pattern. King snakes have a conspicuous coloration along their body, and several species have a checkered belly. The California king snake has black and white patterns both on its body and along its belly. The coloration creates an optical illusion as the snake moves along the ground, confusing predators and allowing the snake to escape to safety. The common king snake has bright orange, white and black patterns along its back, but has a white and black checkered belly. King snakes receive their common name from their habit of feeding on other snakes in the wild, including venomous rattlesnakes. Fox snakes are yellow to light brown snakes with a brown or black pattern along its back. Fox snakes are nonvenomous snakes that are highly beneficial in agricultural areas since they consume a large number of rodent pests. Fox snakes have a yellow belly with black checkers, a feature that differentiates them from the venomous Massasauga rattlesnake that lives in the same range and appears similar from above. Milk snakes are small, slender snakes that grow up to 3 feet long and have a distinct red, black and white coloration on shiny scales along their back. Milk snakes, like their close relative king snakes, occasionally eat other snakes. 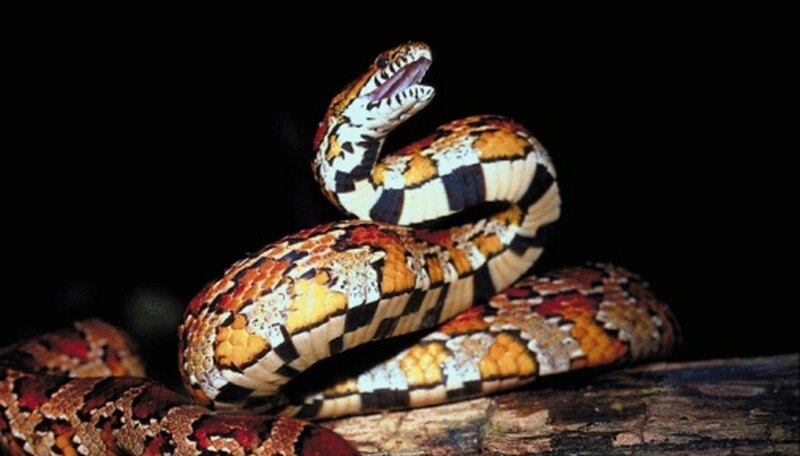 The bright coloration of milk snakes tricks other animals into thinking that it is a venomous snake. 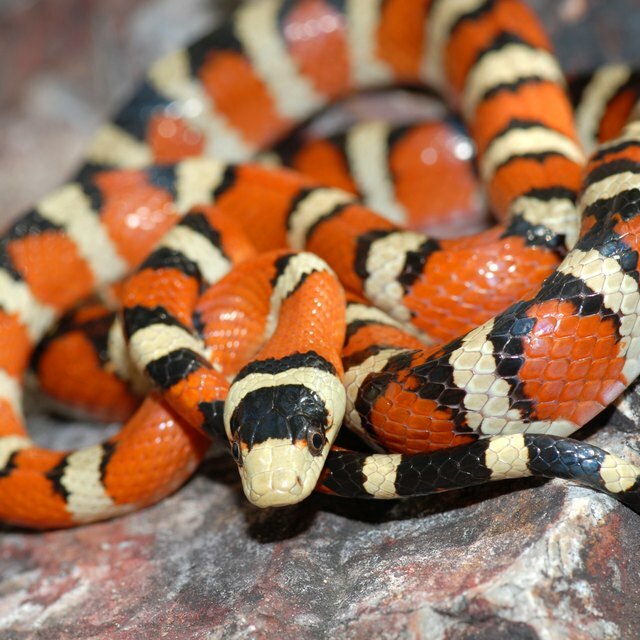 While milk snakes do mimic the venomous coral snake, they pose no danger to humans. Many species of milk snakes resemble one another, and the checkered belly of some species such as the eastern milk snake is a helpful way of identifying specific species. Campbell, Damien. "Snakes That Have a Checkered Belly." Sciencing, https://sciencing.com/snakes-checkered-belly-8538538.html. 25 April 2017.